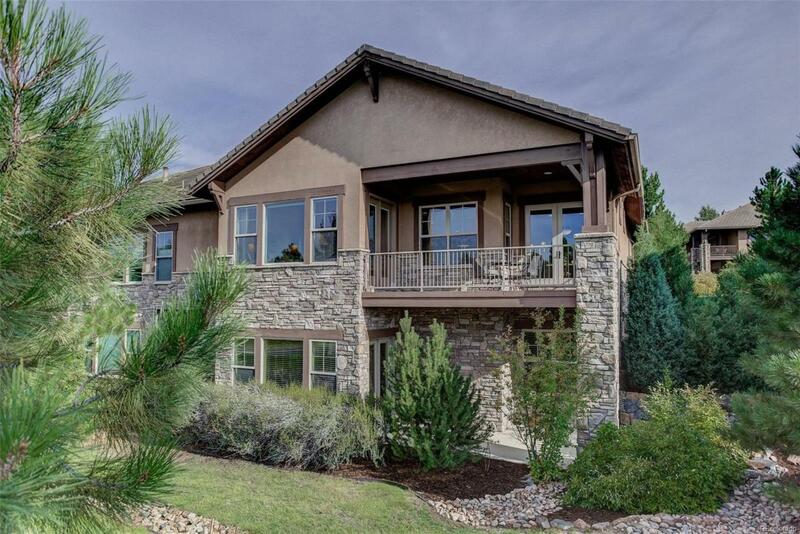 Fantastic opportunity to own a gorgeous low-maintenance duplex in prestigious gated Castle Pines Village! This impeccably maintained home has custom built-in cabinets in the dining room, master bedroom & den with gorgeous organizers in the master closet and pantry. The gleaming rustic Cherry hardwood flooring throughout the main level and hand troweled walls are in perfect condition and the chefs kitchen and bathrooms are pristine with timeless materials. Enjoy your morning coffee with views off toward the mountains and cool evenings on the lower covered patio. So much luxury quality in this home, you must see it to appreciate. The convenient location allows for easy access to the trail systems, Village Shops and community pools and recreation areas. Call today for your private showing!